1pc/ polybag, 50 pcs/ carton. TNT, DHL, UPS, FedEx, etc. Within 2-7 days after the receiving of the payment. T/T, Credit Card, Western Union, Paypal, etc. Our staff is well-trained and educated in this industry. We will save you money in the end because of our efficiency and know-how. Thanks to our R&D department, we always catches the latest trend in the market. With required certificate and experience after-sales service, there was no any clearance issue in the shipments we have arranged. 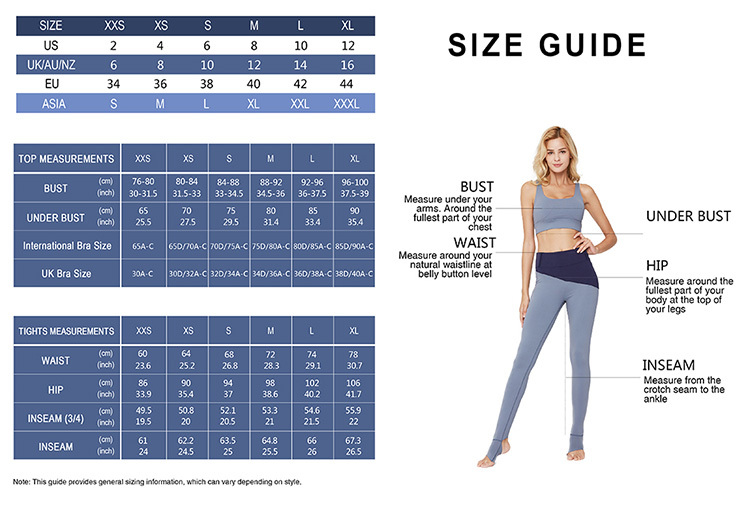 We are manufacturer of the high quality of active wear over than 15 years. Our products cover Sports Bra, Leggings, Jackets, Tshirts, Shorts, Tank Top, Hoodies, Sweatshirt, etc, suitable for Yoga, Running, Gym Workouts but also for Casual Occasions. 3. How long will it take to get a sample? What about the shipping cost? Sample time of the Existing Goods: you will get the samples in 2-7days after payment. The shipping cost for one piece of bra is about US$20-25 to USA by UPS. So it depends on the order quantity and destination. We accept T/T, Paypal, Credit Card, Payment through Alibaba, Alipay, Wechat, etc. 5. How long will it take for the bulk order? 10-20 days after payment if with logo. 6. Can I custom my logo? Label, and packaging? And how long will it take? Custom Logo/Label/Packaging all are acceptable for our existing goods, it will take 10-20 days for custom order. 7. How to control quality? A. All the raw materials will be inspected by IQC (Incoming Quality Control) before lunch whole process into the process after checking. B. Process each link in the process of IPQC (Input Process Quality Control) by Patrol inspection. C. After Finished by QC’s Full Inspection before packing. 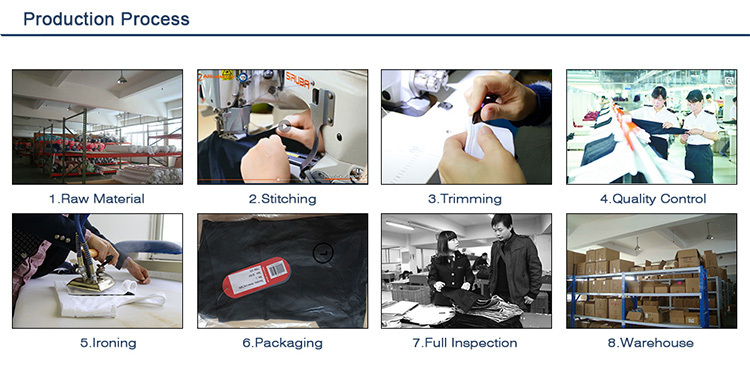 D. OQC will do the full inspection for each piece of our products before shipping. The supplier is ranked number 18 by transactions data in Sportswear. The supplier has delivered 94.0%% of their orders on-time in the last 180 days.